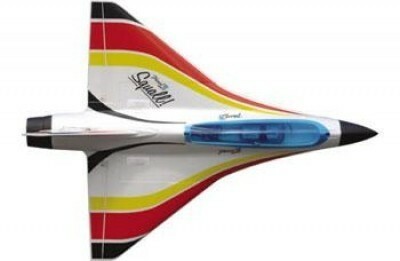 The Merlin is the latest addition to Multiplex's line of Elapor sail planes. Compact in size, the Merlin offers full size performance at a fraction of the cost. Built using the ultra durable Elapor® foam and high quality plastic parts the Merlin has the same legendary durability as our other sail planes while maintaining the excellent flying characteristics our customers have come to expect. 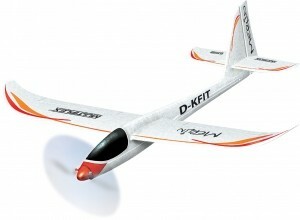 Whether it is built as a pure glider or as an electric the "take it wherever you go" Merlin is sure to delight any modeler. This is the aircraft and hardware only, no power system or radio gear included. 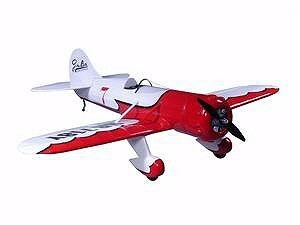 1.EPO material foam Wing with Fuselage 2.Quick-move Simulated Carbon Canopy hatch for Easy Battery Change 3.Hand Launch Grips at Bottom FuselageSlick Appearance with Bright Decal 4.Perfect EP Speedy Flyer for Intermediate and PRO Modelers 5.Kit and OBL combo version for choice. Controls: Aileron, elevator and rudder. Brushless Motor & speed controller included in this kit. 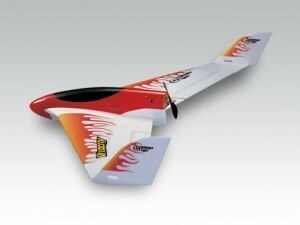 Brushless Combo comes with Gee Bee Y ARF, Uranus 28309 brushless outrunner motor and 25A brushless controller. Designed, constructed and styled with one aim in mind.....performance! The sleek delta-wing design and careful use of the fuselage allows the Squall to explore its entire speed envelope with control and stability.